Among its peaks of prosperity were the 26th century BC. Ur was indeed given kingship, but it was not given an eternal reign. From time immemorial since the land was founded, until the people multiplied, who has ever seen a reign of kingship that would take precedence forever? When sometime in the 1st millennium BC the anonymous author of the biblical book of Genesis narrated the life of Abraham, the patriarch’s birthplace was identified as ‘Ur of the Chaldaeans’. To those who read or heard the story it was probably a city they had never seen, but the name must have triggered something in their imagination, almost certainly as a very ancient place. 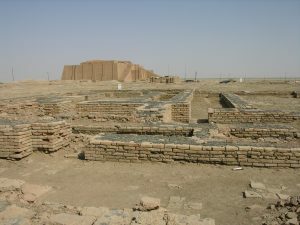 The site we now know to hold the ruins of Ur – Tell al-Muqayyar in the very south of modern Iraq – was abandoned around 400 BC at the end of a long history of probably more than 4,000 years. In that time it had known moments of greatness but also of decline and destruction – in the Lament over the Destruction of Sumer and Ur the god Enlil points out that no glory lasts forever. 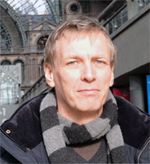 Because archaeologists in the 1920s and 1930s in particular excavated the site extensively, historians can reconstruct the city’s condition at various times. Among its peaks of prosperity were the 26th century BC, when its elites were buried in tombs with magnificent grave goods, the 21st century BC, when Ur was the capital of a state that firmly held together the entirety of Babylonia and the territories to its east, and the 19th to 17th centuries BC, when the city was an economic powerhouse with a citizenry of dynamic entrepreneurs. But there were also times of crisis, as after 1740 BC, when Ur was ransacked by Babylonian troops in revenge for its rebellion, or in the early 1st millennium BC, when the city and its surroundings were barely inhabited. In the middle of the 3rd millennium BC Ur was one of a network of city-states spread across Babylonia and ruled by kings, some of whose names we know from very brief inscriptions on cylinder seals, beads and the like. The city’s history is shrouded in mystery then, except that its archaeological remains include a rich abundance of materials that inspire us to recreate the lives of at least its elites in some detail – or perhaps more accurately their deaths. 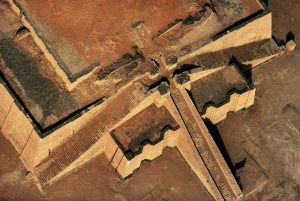 Within the city walls at the edge of the sacred precinct more than 2,000 people were buried in a cemetery that was in use from 2600 to 2100 BC, known as the Royal Cemetery. Among them was a select number whose tombs were filled with such astounding grave goods that we must conclude that they were supremely important in life. 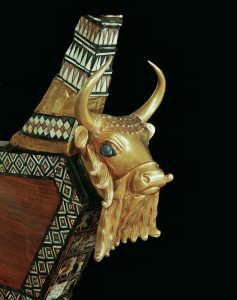 The excavator, Sir Leonard Woolley, designated the sixteen most lavish burials as royal tombs, all dating to before 2450 BC. Take the tomb of Queen Puabi as an example – Woolley gave it the number RT 800. A long antechamber, some 12 by 4 m (40 × 13 ft), was accessed by a sloping entrance passage. The burial chamber, probably entered via the roof, measured 4.35 by 2.8 m (14¼ × 9 ft) and was sunk 1.7 m (5½ ft) below the floor of the antechamber. Within, on a bier, lay the queen’s body, covered with precious objects. She was around 40 years old when she died and was under 1.5 m (5 ft) tall. 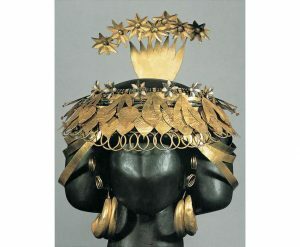 On her head was an ornate headdress of gold, hammered to represent leaves and flowers and decorated with rosettes inlaid with lapis lazuli and carnelian. She wore massive golden earrings and a belt of gold, carnelian and lapis lazuli beads. 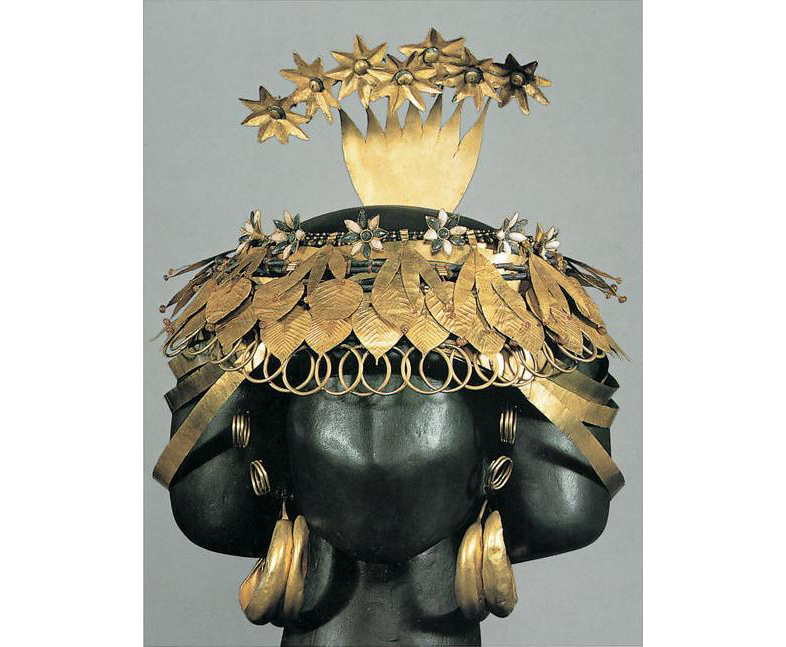 Her body was wrapped in a cape on to which numerous beads of silver, gold and semiprecious stones were sown, and she was adorned with gold pins, some of which were used to attach cylinder seals, including one inscribed with her name, ‘Queen Puabi’. With the queen lay the bodies of three attendants, and jars and vessels made of gold and silver were heaped around. In the antechamber stood a massive wooden chest, which most probably had once held her garments. There was also a sledge, with two oxen to pull it and five grooms, and more piles of vessels of precious metals and semiprecious stones. All these goods were exquisitely crafted from materials that had been imported – the region around Ur lacked such resources. But in death the queen was not only accompanied by luxurious items, she also was to be entertained and cared for. At one end of the antechamber lay ten women and the remains of a harp and a lyre, and in the passage were the bodies of five guards. All these people had been sacrificed at the time of the queen’s burial, the back of their heads smashed with a pointed axe. Their bodies were then heated, embalmed with mercury and dressed, and in the case of the women attendants decked with precious jewelry. They were then laid out in the tomb. Ur was not especially important in Babylonia in this period; it did not engage in expansive military conquests as far as we know. But it is clear that it had access to enormous wealth and was able to acquire precious materials from distant places – lapis lazuli came from Afghanistan, for example. Probably it derived this affluence from its location on the Persian Gulf as port of trade between Babylonia and the regions to the south and east. The evidence from the Royal Cemetery reveals how some of its inhabitants held such eminent positions in society that they could command not only lavish material goods but also the lives of others for their personal pleasure and fulfilment. 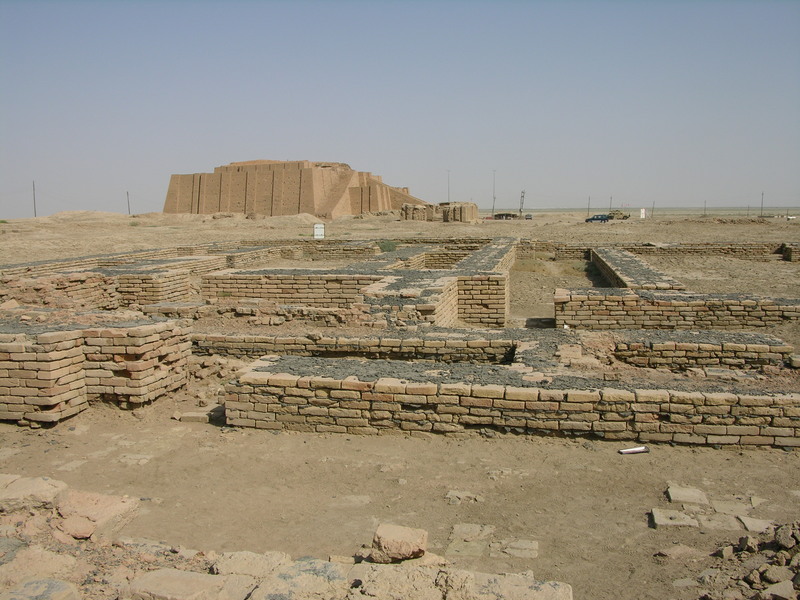 Ur’s cemetery contains the only clear example of human sacrifice from ancient Mesopotamia known today; the practice did not continue in later history there, even when its rulers controlled vast empires. This raises questions about society at the time and the source of power that enabled the city’s elites to demand that they be buried in this fashion. After all, even if the victims themselves resisted the sacrifice of their lives for others, society at large must have tolerated this treatment of some of its members – in total the corpses of some 350 attendants were excavated in the Royal Cemetery. Many explanations are possible. It seems clear that when individuals like Puabi died the people of Ur saw this as affecting more than the individual. She embodied a community and religious as well as secular authority. The entire population was willing to assure her an existence of great comfort into eternity. In this way Ur in the days of Queen Puabi shows us how societies in early world history struggled with questions of power, identity, community and solidarity. For a brief moment in Ur’s history it included this type of burial, but it was a path soon abandoned. From Cities that Shaped the Ancient World, by John Julius Norwich (Thames & Hudson, 11.11.2014), published by Erenow, public open access. This entry was posted in Ancient, History, Mesopotamia, Ur, Urban. Bookmark the permalink.